So when autumn came I knew that they would need to go away until spring. But I loved being able to look at their gorgeous new autumn winter range! All three pairs of these amazing boots are on my wish list! For a good country style boot I was torn between the Belle boots and the Marlowe GTX boots. Both pairs of boots would be perfect for our lifestyle. We live in the countryside and during winter and the bad weather a good pair of leather boots are a necessity. But then the purple beauties definitely caught my attention. The Vanity boots are such a stunning pair of boots and next time I want a pair of heels that offer Hotter comfort I will be getting a pair of them! But I chose a different pair to try. 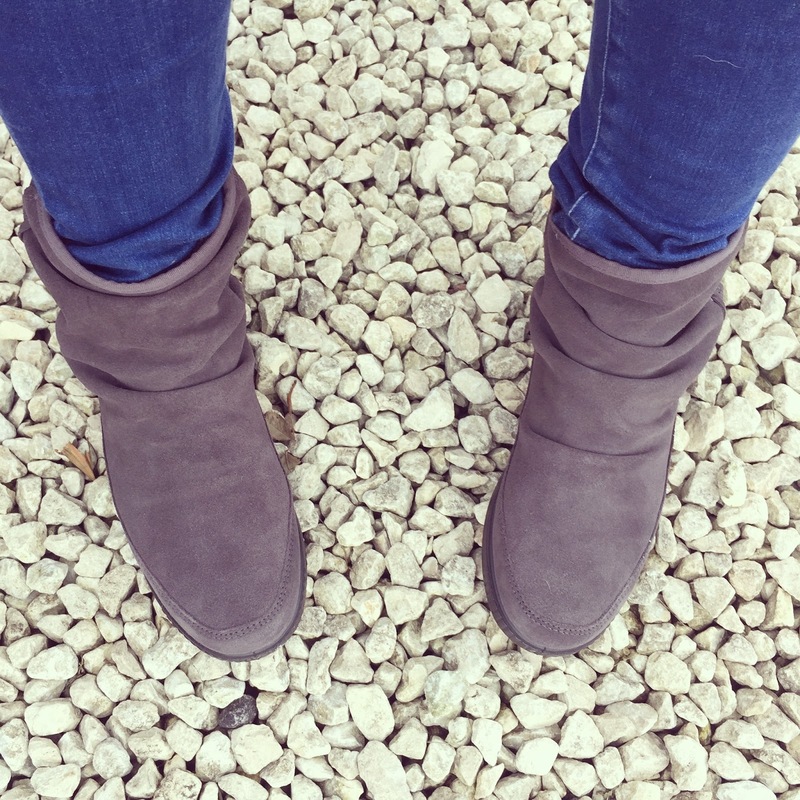 I decided to go for the Pixie boots! The Pixie boots are slouchy soft suede boots that are lined with a smooth, warm faux fur which adds comfort but keeps your toes snugly and warm. They have lace detailing up the side and have some cute tassels at the back. These boots slip on with great ease and are as comfortable as slippers. They have become my favourite boot. I have worn them with both skinny jeans and boot cut jeans as well as leggings with a jumper and leggings with a tunic, they have even been worn with a maxi dress. They are a true all rounder of a boot. Since these boots arrived none of my other boots have been worn. 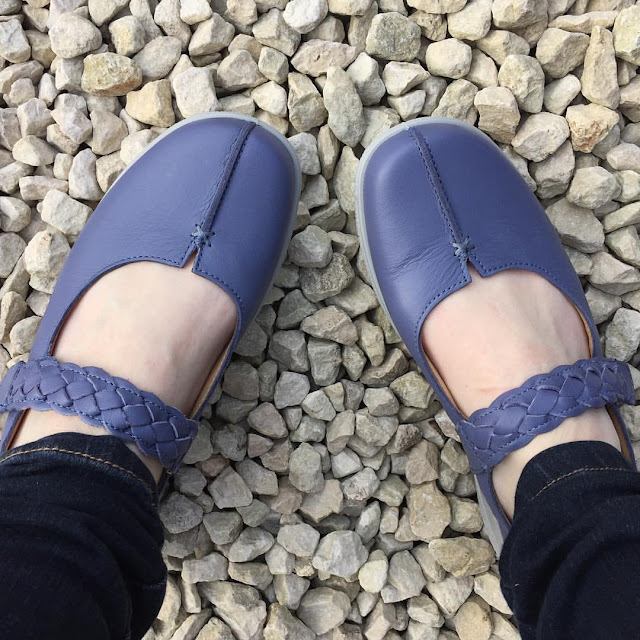 No matter how quickly we are having to dash to school or battling through the supermarket one thing that I do not have to worry about is how my feet are feeling. 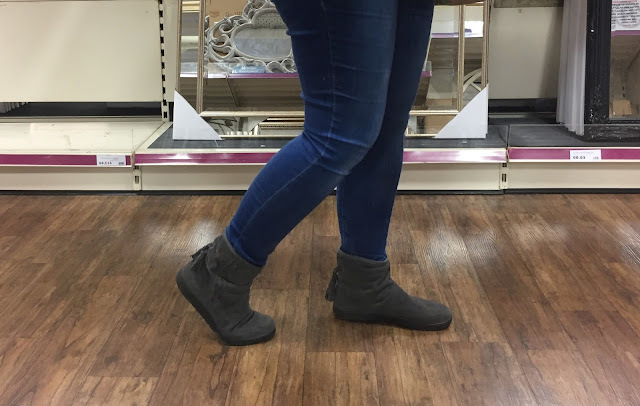 Years of high heels and pointy shoes has paid its toll on my toe joints so finding shoes that keep my feet pain free is a must and these tick all of the boxes! 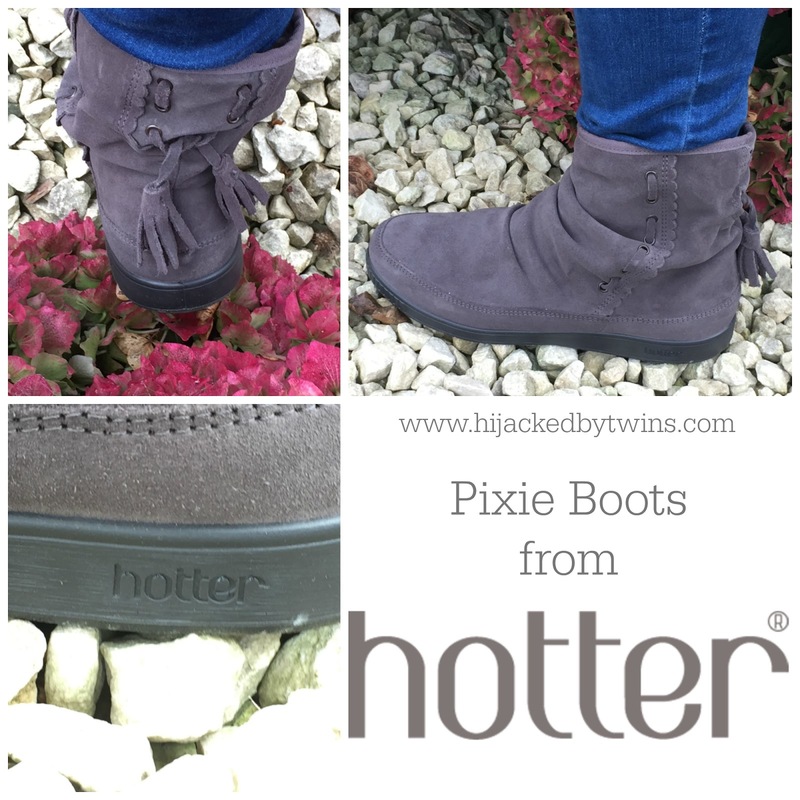 If you are looking for a new pair of shoes or boots for the new season I cannot recommend Hotter enough. The customer service, the choice, style, comfort, they even do accessories (their bags are amazing!) Hotter have it covered! So pop on over and take a look! Disclosure: I was sent a pair of Pixie boots for the purpose of this post. No cash payment was received. All views and opinions are my own and 100% honest.